Policeman Ernest Armstrong, Policeman Charles Holt, and Patrolman Lindsey Smith, of the Tennessee Highway Patrol, were shot and killed after responding to a domestic dispute. 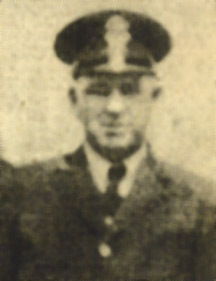 Policeman Armstrong was the first officer to arrive at the scene and was shot by the drunk suspect. The suspect opened fire with a .45 caliber handgun, striking Policeman Armstrong's badge and a second shot striking his spinal cord. Altough wounded, he was able to return fire and struck the suspect in the arm. Policeman Armstrong and Patrolman Lindsay were transported to Protestant Hospital where they both succumbed to their wounds several days later.